James Howard Day, 91, of LaGrange, passed away on Saturday, April 1, 2017. He was a member of LaGrange Christian Church and Pewee Valley Masonic Lodge. James retired as and electrical refrigerator repairman. 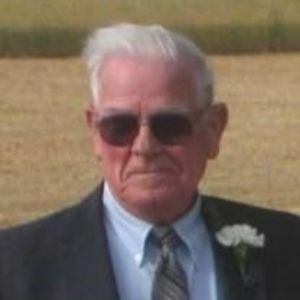 His hobbies included fishing, hunting and farming. Preceding him in death were his wife, Kathleen Day and son, James "Sonny" Day. Survivors include his sons: William E. Day (Debra) and Glenn Day; 5 grandchildren and 2 great grandchildren. A celebration of life will be conducted at 10:00 AM on Wednesday, April 5, 2017, at Heady-Radcliffe Funeral Home with burial to follow in Valley of Rest Cemetery. Visitation from 4-8 PM on Tuesday at the funeral home. Memorials to Dreams with Wings (1579 Bardstown Road, Louisville 40205) or Hospaurs of Louisville.